Same day dental implants in Cancun – Mexico are a feasible option for medical tourists seeking quick and easy teeth replacement at a fraction of the cost of similar procedures in Canada and the United States. A relatively new procedure, same day – also known as immediate load – dental implants are often not covered by insurance companies. For this reason many people are seeking treatment abroad. 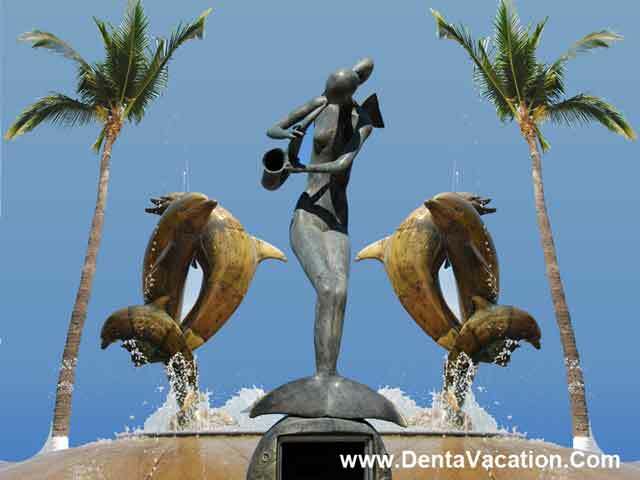 Traveling to get same day dental implants in Mexico is a popular option due to the country’s well-established tourism infrastructure, excellent health care system and proximity to the United States. An immediate load dental implant is a quick-healing procedure which can be completed in as little as 15 minutes. Using a process known as osseointegration, a small titanium rod is inserted in the jaw and a temporary crown (called an abutment) is placed without having to wait for the jaw bone to set. Usually, an x-ray will confirm that the implant has been successful; the patient can then go home. Once the osseointegration is complete (between 5 and 30 days) a permanent crown is attached locally. Unlike immediate load implants, traditional implants require multiple surgeries and several months of recovery. Additionally, the patients will have to spend between 2 and 6 months without teeth as the jaw bone is required to fully set before the crown can be attached. That being said, immediate load dental implants may not be for everyone. The procedure requires healthy jawbones and may not be suitable for the elderly or immune-compromised. A 7 year follow-up study of 93 same day implants by M Degidi and A Piattelli, details of which were published in the 2005 edition of the Journal of Oral Implantology, pegged their success and survival rates at 93.5% and 98.5%, respectively. The cost of same day teeth implants in Mexico is considerably less than in the USA, Canada or Europe. The cost of same day implants in Cancun, Mexico is typically between 50% and 60% less than in the United States primarily because of the low cost of living and the ever-rising competition between clinics to garner more overseas dental tourists. Patients who are weighing one day dental implants in Cancun – Mexico can expect to find hospitals that are typically clean and modern, with many English-speaking and foreign-trained surgeons. The leading dental clinics in Cancun make use of the latest technology. 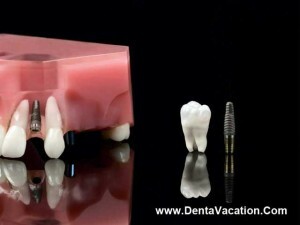 You can look forward to good care as you get your same day dental implants in Cancun. The cost of staying in Cancun is also quite low; inexpensive tourist buses run frequently to popular destinations, and friendly comedors offer delicious meals at local prices. The logistical benefits, in the form of reduced travel time and costs, concomitant with getting teeth in a day in Cancun further add to the allure. Of course Texans can further cut down their travel expenses by choosing to get immediate load teeth implants in Los Algodones; Californians can do so by opting for same day dental implants in Tijuana. A popular destination for both leisure and medical tourism, Cancun – the largest city on Mexico’s Yucatán peninsula – was the subject of heavy development by the country’s tourist board throughout the 1970s and 1980s. As a result, the city and its surrounding beaches feature many modern amenities that will please anyone on a visit for immediate load dental implants in Cancun. No trip to have dental implants in one day in Cancun would be complete without traipsing on the golden sands of its lovely beaches after the procedure’s quick recovery time. The city is home to a wealth of beautiful white sand beaches, with options ranging from full-service luxury resorts to more laidback and secluded spots. You can visit the centuries-old Mayan ruins, including the impressive pyramids at Chichen Itza and the beach-adjacent ancient city of Tulum. You can feast your eyes with the beautiful colonial architecture in the nearby cities such as Merida and Valladolid. The choice to pursue same day dental implants in Cancun – Mexico is ultimately a personal one to be made in conjunction with the advice of a trained dental professional. For those who decide that the procedure is for them, Cancun – Mexico is an affordable alternative to treatment in the US.